You do know it’s Mother’s Day on Sunday, don’t you? And you did promise yourself you wouldn’t leave it until the last minute to get a gift this year, didn’t you? Okay. Good. Then, ditch the grocery store flowers and chocolates and check out these very cool book-related gifts for Mumsy. I love these book pendants. Snoop around Etsy.com for crafters who will make a pendant in Mom’s style using the cover of her favorite book. You can also find simple or ornate gold and silver book pendants if that’s more her taste. For reasons I’ll never understand, the whole “Scratch and Sniff” phenomenon never quite took off. Still, you can send Mom on a sensory trip into her favorite classic with these Literary Candles. Maybe she’d enjoy the scent of the gardens at Pemberley, or perhaps she’d prefer tea and books at 221B Baker Street. If your mom’s into zombie novels or medical thrillers, you might want to rethink this one. Book crates have taken the subscription world by storm. Here’s one that is perfect for a long-lasting gift. 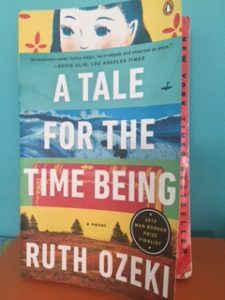 Once Upon a Book Club delivers a box with a new release and three hand-wrapped story-related gifts to be opened at specific pages in the book. Bookplates are so last century (or maybe the century before last), but a stylish desktop embosser could make Mom a bit more willing to lend out her favorites. Due to a series of unfortunate events, I really need new plates. I’m so tempted to search out plate-sized versions of this book platter. Your mother would be the envy of her book club with this. It doesn’t feel like a full year has passed since I put together my Dazzling Dozen Reads of 2015, but here we are, almost at the end of December once again. This year, I developed a ruthless streak with regards to books. If something didn’t grab me and pull me in, I put it down and moved on. I really hate to do that. I always want to give a book a chance to be great, but there are so many wonderful books I want to read, I didn’t feel I wanted to invest time in something I wanted to love but couldn’t. As you can see, I found plenty to love. On this year’s list, you’ll find several books that received a lot of buzz and lived up to their hype. I also dug out some classics and beloved titles to either revisit or read for the first time. And I found some wonderful surprises in the “Local Authors” section of bookstores I visited on my travels. 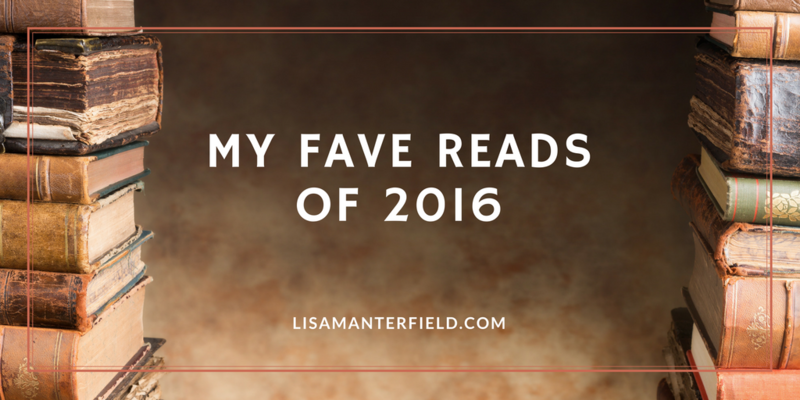 I also read more non-fiction than usual this year, and found some gorgeous reads there. I laughed, I cried, I saw the movie on a flight and laughed and cried all over again in public. 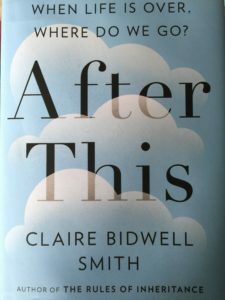 This book is funny, heartwarming, and ridiculously romantic, but it pulls no punches when digging into the timely issue of euthanasia and the right to die. I fell head over heels in love with hapless Lou and steely Will, so much so that I resisted seeing the movie for months after it came out. I wanted to keep the story in my mind and heart just as it was in the book. I finished this book and immediately wanted to read it again to pick up all the clues I’d missed the first time. It’s a tangled tale of a Chinese-American family’s disintegration after the disappearance of their middle daughter. The story hops back and forth in time, slowly building a complex picture of their family dynamic, as each character dissects his or her decisions, wondering if they could have changed the story’s outcome. It’s tangled and brilliant, and well worth the read. I’m a big fan of Kate Atkinson and this, her debut novel, is a personal favorite. It’s a family tale, spanning several generations, told through the eyes of the youngest daughter, Ruby Lennox. Through Ruby’s story, we jump back and forth in time to learn the twisted history of the Lennox family, which seems to have skeletons in every closet. Even Ruby’s young life is colored by family secrets, which slowly reveal themselves as the book unfolds. It’s a dark, funny, tragic, and complex book that belongs on my short list of books I could read over and over again. I listened to this book on audiobook, but wish I’d read it instead. I think I lost something in the listening. The book is framed by the story of an elderly woman finding a World War II identification card, the forged papers of the notorious Nightingale. As she decides whether to attend a celebration honoring France’s war heroes, and risk revealing a long-hidden secret, she tells us the story of two sisters in occupied France. While the older sister, Vianne, does whatever it takes to keep her family safe, the younger Isabelle becomes involved with the resistance, guiding downed allied airmen over the mountains to safety. Strangely, this was a book I enjoyed reading, but didn’t fall in love with it until after I’d finished and the pieces of the story had all slotted into place. It’s a tragic, yet inspiring story of the sacrifices made by women during the war. Sometimes I choose a book for the story and sometimes for the author. This book falls into the latter category. I saw an interview with Caroline Leavitt and was completely taken by her frank discussion about her writing career, how she’d enjoyed great success with her first two books, suffered a string of disappointments, but kept on writing until she once again found success. She was funny and achingly honest, so I had to read her work. Pictures of You is the story of a woman, running away from her marriage, who befriends a widower and his young son after she is involved in the accident that killed his wife. It’s a story of grief and forgiveness (topics of which I’m particularly fond) and how well we really know the people we love. It’s heart wrenching, frank, and lovely. I have two more of Leavitt’s books in my stack for this year. I discovered this book in a wonderful bookstore on Bainbridge Island, WA. Set in the sailing world, it’s really a story about family and expectations. There’s a wonderful cast of characters and the writing is scrumptious. When I finished it, I was desperate to find someone else who would appreciate it. I ended up giving it to my husband’s boss, who also loved it. I always loved the BBC series with Jeremy Irons and Anthony Andrews, so after watching it again recently, along with the recent movie adaptation, I decided I should read the book. It is a delicious story of family, love, belonging, faith, and memory, filled with Waugh’s exquisite writing and dry humor. I’d heard so much about this book and now I understand what the fuss is all about. It’s the story of an elderly curmudgeon, slowly making amends with a long list of people who’ve wronged him. 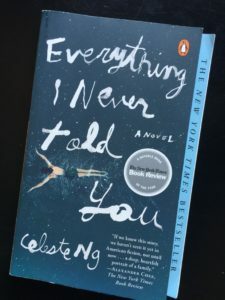 The writing is simple and crisp, but what makes this book so endearing is the author’s use of backstory to illuminate this otherwise unlikeable character, so that I couldn’t help but fall in love with him. I cried at the end of this one, too. I loved McLain’s The Paris Wife and this book, the fictionalized story of pioneering aviator, Beryl Markham, was its equal. I was immediately pulled into the world of colonial Africa, a girl born out of time and place, and her struggle to forge her own path. I loved this book so much, I wrote an entire post about it: Beryl Markham: A Woman Ahead of Her Time. I’m not usually much of a mystery reader, but the cover of this one caught my eye and it came with a great staff recommendation write-up. It’s the story of a woman’s 20-year-long obsession with uncovering the truth about her sister’s murder. Another twisted tale of secrets and lies in the aftermath of tragedy. It has a great array of quirky characters, lots of twists and turns, and the murder bits aren’t too graphic for those of us with overactive imaginations. I’m also a sucker for the Pacific Northwest setting. This book is stunning. That’s the only word I can find to describe it. 36-year-old Paul Kalinithi is reaching the end of his arduous medical training when he is diagnosed with Stage IV lung cancer. This memoir, published posthumously, charts his journey from neurosurgeon to patient and how his experience changes his understanding of his own work and of what gives life meaning. It was another tear-jerker for me. This is a beautiful book with an interesting structure. It’s a memoir of the author’s experience training a falcon as an escape from the grief of her father’s death. It’s a fascinating story, with a really interesting use of history to give insight into the world of falconry. But at its core, it’s the story of a woman coming to understand herself. The writing is gorgeous, the settings very familiar to me, and her descriptions of the natural world are breathtaking. I first picked up this book as research for A Strange Companion, after attending a book event with the author. Part memoir, part research project, part spiritual odyssey, it’s the story of the authors quest to come to terms with the death of her mother and find answers to what happens to us after we die. It’s funny, moving, and absolutely fascinating. It also makes my “read again” list. Elizabeth Gilbert writes frankly and with her trademark humor about the creative process and the life of a writer. 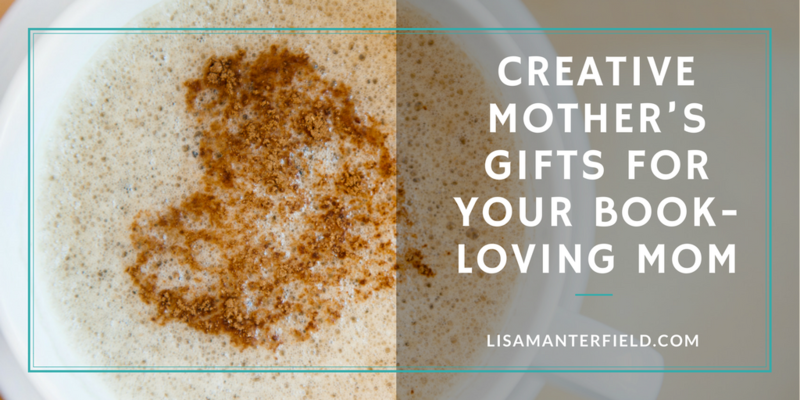 She shares some wonderful stories and philosophies about how ideas find a creative outlet and how her writing has kept her going through the rough patches in her life. I bought the audiobook and have been listening to it over and over again, whenever I need to be reminded of why I write. I’d recommend it even if you’re not pursuing a creative life. So, those are my favorites for this year. I’d love to hear which books found their way into your heart this year. Have you ever felt as if you were born in the wrong era? I have an inexplicable love of both ‘20s jazz and ‘70s disco music, and often joke that I was born in the wrong decade. But, I’ve never had the experience of feeling I was born “long before my time.” Even though I’ve broken some conventions and chosen some of the less well-worn paths through life, there was always a seemingly fearless pioneer who walked before me. Perhaps that’s why I enjoy reading stories about trailblazing women, to learn how it feels to break through expectations and be the first. I recently finished Paula McLain’s Circling the Sun, a fictional memoir of Beryl Markham, the first woman to fly solo across the Atlantic from east to west, and the first person, male or female, to make the non-stop trip from England to North America. She earned that distinction in 1936, when aviation was still the sport of daredevils. 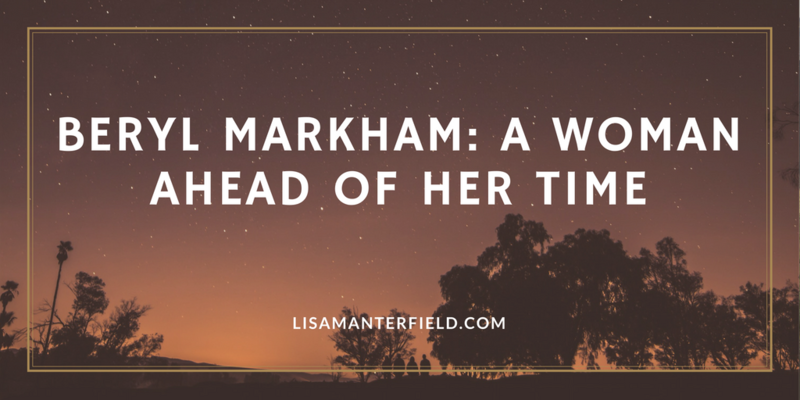 Markham was certainly a woman born before her time, and yet her flying is only one aspect of her life that set her apart. Abandoned by her mother at a young age, Markham was raised by her father among the local Kipsigis people, where she learned the skills, if not the status of moran, or warrior. She was a wild child by the standards of the day, refusing to be traditionally schooled or dress “like a girl.” But her wild adventures came to an abrupt halt when her father’s farm collapsed and he was forced to move away. With few options open to her, 16-year-old Beryl was shunted, reluctantly, onto a more traditional track for a young woman in the early 1920s: marriage. Beryl, however, wasn’t about to throw in the towel and devote herself to being a doting wife. She wanted to be her own person and pursue her passion for horses. It turned out that Beryl had a natural talent for training both feral and vulnerable horses. Despite the reluctance of her husband, at the age of 18 she became the first licensed female horse trainer in Africa, quickly earning renown when her horses won major events. Still, for many owners, her proven skill wasn’t enough to overcome her handicap of being a woman. Although she constantly had to fight for her rightful place in the racing world, it never stopped her from doing what she loved. She applied a similar rule to men, never allowing the tattlers to sway her passions. But colonial Africa was, at its heart, a small town, and even among the community of bohemians and oddballs, Beryl always seemed to stand out. Even when she was all but run out of Africa on a wave of gossip, she took responsibility for her missteps, and did whatever it took to stay afloat. Like most us, Beryl made some questionable decisions in her life, sometimes out of rebelliousness, but often out of basic survival. What drew me to her story is that, no matter how lost she became, she always managed to find her way back to her true self. She never allowed the accepted norms of the day to hold her back, and so she left an indelible mark on the world. For those of us who aren’t built of pioneer stuff, those are good rules by which to live. You can read a fictionalized version of Beryl Markham’s story in Paula McLain’s Circling the Sun or Beryl’s own account in her memoir West with the Night. I’m also going to add Karen Blixen’s related book, Out of Africa, to my reading list for more insight into that time and place. Let me know if you’ve read these books and what you thought. 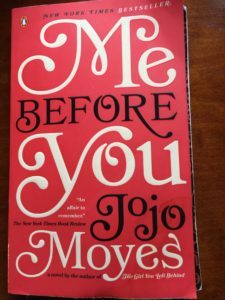 My Favorite Books of 2016…So Far! So begins this deftly-woven tale of a family coming undone. The story follows all five members of Lydia’s family as each searches to place the blame for her death on themselves and one another. The story threads back and forth in time, slowly building a complex picture of a complex family dynamic, until Lydia herself helps us to put the pieces of the puzzle together. This is a book that went straight back into my reading pile so I can comb through it again and look for the clues I missed the first time. Kate Atkinson is one of my favorite authors and this is the first book of hers that I ever read. I picked it up again this year to see how her work has changed over the years. This book is classic Atkinson, another family saga spanning several generations, this time told through the eyes of the young protagonist, Ruby. 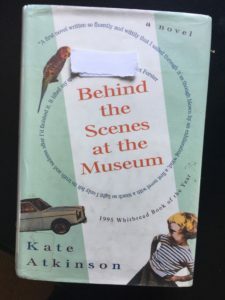 Atkinson uses her wonderful dry wit to tell this darkly comic story of family secrets and seemingly endless tragedy, while dipping again into her bag of detailed World War II stories. This book is on my all time favorites list. 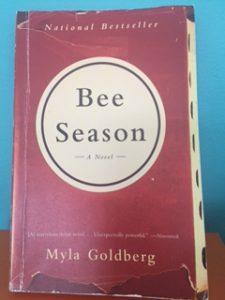 Dysfunctional families have been a theme for me this year, and I very much enjoyed Myla Goldberg’s story of Eliza, the unexceptional daughter of an ambitious family, who shocks everyone by making it all the way to the National Spelling Bee. But Eliza’s unanticipated success puts a crack in the fragile veneer, revealing the secrets and failings within. Goldberg writes with a humor and clarity that kept me leaping from each short section to the next. The story begins when Ruth finds a Hello Kitty lunch box containing the diary and family heirlooms of a Japanese teen, Nao. Believing it has washed ashore in the aftermath of the tsunami, Ruth is determined to find out if Nao has survived. 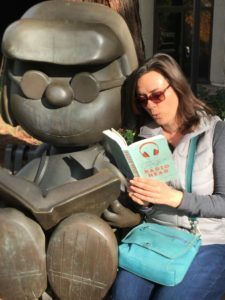 Through Nao’s journal, we learn her story of a rocky transition from Silicon Valley to Tokyo after her father loses his job, and her relationship with her grandmother, a 104-year-old Buddhist nun. It’s an engaging dip into Japanese culture and history, family lore and legacy, aging, suicide, and quantum physics, all with Ozeki’s humorous touch. The book was shortlisted for the Man Booker award and won far too many other awards to list here. 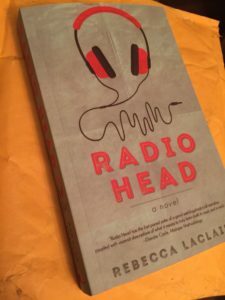 Rebecca and I met in a writing workshop several years ago and when she read the opening chapter of her work-in-progress, Radio Head, I was instantly hooked both on Rebecca (because she’s lovely) and her book. An advanced reader copy of the finished book was the first thing I read this year. (Note: ARCs are just one advantage of stalking authors you love!) I’ll write more soon about what it’s like to read a book that you’ve watched blossom from first draft to completed novel, but for now, I’ll say the Rebecca delves into issues of creativity and mental health, in this lush behind-the-scenes tour of the music industry. My neighbor told me so many time how much she loved this book that I finally broke down and bought it. It’s funny, heartwarming, and ridiculously romantic, but it pulls no punches when digging into the timely issue of euthanasia and the right to die. I fell head over heels in love with hapless Lou and steely Will, so much that I refused to see the movie when it came out. I wanted to keep the story in my mind and heart just as it was in the book. A high compliment indeed! I don’t read a lot of non-fiction, however I thoroughly enjoyed this story of searching for an answer to what happens after we die. 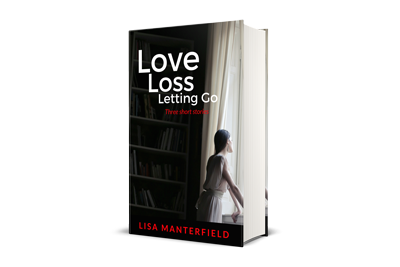 It’s part memoir, part research project, part spiritual odyssey, as the author searches for meaning in the wake of her mother’s death and learn how to prepare her own young daughters for life after she is gone. The themes are similar to those in my forthcoming novel A Strange Companion, which is what drew me to the book in the first place. I attended a reading at my local bookstore, where the author brought with her a psychic medium. It was by far the most interesting and enlightening book event I’ve ever attended. Lots of great reads here and a towering stack to look forward to for the second half of the year. Do let me know which books have captured your hearts this year. This book absolutely lives up to the hype. I listened to the audiobook and really enjoyed the different voices the readers brought to the story. The protagonist, Rachel, could be any woman. She’s had her problems and made poor choices that make her unreliable, both as the narrator of this story and as a witness to the murder she uncovers. Despite her deeply flawed character, I couldn’t help but root for her, and yet she continues to sabotage herself and make progressively worse choices, until I found myself begging her not to screw up again. Yes, perhaps the ending is a little predictable, but it’s also hugely satisfying, and the ride to get there is nail biting. This was perhaps the most beautiful book I read this year, worthy of its Pulitzer Prize and a second read. Set in World War II France, it follows the stories of Marie-Laure, a young blind girl evacuated to the coast with her father, and Werner, a German orphan recruited to a Hitler Youth academy. Doerr weaves their stories together so deftly, offering glimmers of connection until their paths ultimately intercept. Add in the mystery of the missing jewel, the stunning image of the perfect scale model Marie-Laure’s father builds to help her navigate her new home, and the brutal details of war, and this book is as close to perfect as any I’ve read in a long time. I fell in love with this book on page one. It’s beautifully written and brilliantly intriguing. Mandel switches effortlessly between the points-of-view of several characters and takes us back and forth in time, weaving together both strange and familiar worlds, so that the book is impossible to categorize. Is it science fiction? Is it a gentle tale of aging and regret? Is it a literary insight into the impact of art on a destroyed society? The answer is yes; it’s all these and more. I knew from reading the back cover that all these stories would somehow intertwine, but I’d read more than 75 percent of the book before the threads began to converge and it wasn’t until the final few chapters that everything slid perfectly into place. I don’t often reread books, but this is one I wanted to read again as soon as I finished, to go back and pick up all the clues and details I missed the first time. I loved this book, but am reluctant to recommend it to many people. To call Moran irreverent is an understatement and she pulls no punches in this tale of her teenage protagonist’s odyssey from Midlands council estate to indie music journalist. It’s a gritty coming-of-age story about a teenage girl so ashamed of who she is that she reinvents herself, adopting not just a new name, but a new edgier, more daring, more dangerous persona. Just as she thinks she’s built the ultimate girl in “Dolly Wilde” it all comes crashing down. The jacket copy reads “Image The Bell Jar written by Rizzo from Grease” and I think that’s the perfect description for this painfully funny read. Socially inept Don Tillman is a total pain, and yet I fell for him on page one of his project to find a wife. An accomplished geneticist, Don applies science to his quest for love by employing a detailed profiling system for eliminating inappropriate dates. So when Rosie, a bartender on a mission to identify her biological father, stumbles into his office, attraction doesn’t even enter Don’s mind. In fact, he’s the only person who can’t see that they are perfect for one another. I loved Simsion’s humor and wry observations, and I found myself laughing the loudest when I saw myself in Don’s nerdy character. Atkinson is one of my favorite authors and this book is a devastating companion to her wonderful (and highly recommended) Life After Life. Leaping back and forth in time and between characters, as only Atkinson can, we follow the life of Teddy, World War II bomber pilot, father, grandfather, and reluctant subject of the fictional Tales of Augustus. Atkinson explores family truths and redemption. Her impeccably researched war stories are poignant and harrowing, and her detailed portraits of unforgettable characters are meticulous. I’m anxiously awaiting her next project and may have to go back to Behind the Scenes at the Museum to reread everything while I wait. I listened to this on audiobook, so I got the benefit of the reader bringing Handful and Sarah to life. It’s the story of a wealthy southern girl and the slave she’s given as a gift on her eleventh birthday. But neither of these young women is prepared to follow the expected rules of their roles. This tale is full of texture and tactile descriptions, as well as being a riveting tale. It’s also based on real events. I read this book as research for my novel The Smallest Thing and it blew me away. Truth is definitely stranger—and more frightening—than fiction. It’s a great mix of science, history and personal stories. An excellent reminder of the fragile balance of nature and our ecosystems. I was immediately pulled into this story of Rosemary, a young woman revisiting her childhood and the disappearance of her beloved sister, Fern. But as the book unfolds, it’s revealed that Fern was not a human child, but a chimpanzee, and the sisters and their brother were part of a bizarre experiment by their scientist parents to raise humans and chimps together. Based on true events, this heart-wrenching (I cried) and humorous story explores the meaning of family and the thin line that exists between humans and apes. Under the category of “Mad dogs and Englishmen” this is the book that got me lacing up my running shoes again and committing to a half marathon. It’s part history of the uniquely British sport of fell-racing (running up and down mountains (fells) at impossible speeds) and the author’s introduction to the sport and his subsequent obsession with completing the illustrious “66 miles in 24 hours” Bob Graham Round. It’s funny, inspiring, and full of colorful, larger-than-life characters, plus it transported me to some of my favorite parts of the British Isles. I’m not even sure how I stumbled upon this book, but I’m glad I did. It’s sort of a cross between The 100-Year-Old Man Who Climbed Out the Window and Disappeared and The Unlikely Pilgrimage of Harold Fry as it follows the title character on her odyssey of self-discovery. After the death of her husband, Harriet’s children want to move her to a care facility, but Harriet is determined to go on the cruise her husband won but never got got to take. As she moves tentatively out her her small world, Harriet sees her whole life from a different angle, and it’s not always pretty. The story jumps in short chapters between 78-year-old Harriet and versions of her younger self. It’s funny, heart-warming, and thought-provoking. I listened to the audiobook after seeing the movie, so I had the benefit of knowing what happens! And of course, the book trumps the movie, which is no small feat. I loved the humor the author brings to the main character and to the supporting cast. I also geeked out on the science and calculations he used to figure out how to rig his survival. Check out the story of how this book came about and how the author went from publishing chapters on his blog and being persuade by fans to self-publish a book, to catapulting to the top of the bestseller lists and the subsequent blockbuster movie. So far, I have a short list of books to read in 2016. If you have a book you loved, please share it in the comments. Happy 2016 and happy reading.